It is the 21st century and modern science has taken over the world. One of the biggest gifts of the technological advances of this advancement is the process of cryopreservation in the field of IVF which allows one to freeze their eggs, sperms and even embryo for future use. While many people know about the process of cryopreservation, they often get confused between egg freezing and embryo freezing. Hence, it becomes important for one to know the difference between the two. Both the processes have the same initial step which requires to retrieve the eggs. For this, the doctors conduct a few tests to check whether the female requires any medication or hormones to get her body prepared. These medications or hormones stimulate the ovaries so as to produce multiple eggs. One may ask why this step is necessary. This step becomes important as not all eggs are of the best quality. Retrieving multiple eggs ensures that you have a healthy pregnancy. 10-12 days of time is given for the eggs to be ready for retrieval. After the eggs are retrieved, then comes the essential difference between the two processes. In egg freezing the retrieved eggs are not fertilized. They are frozen using the process using cryopreservation in low-temperature in liquid nitrogen. These eggs are frozen to either be used now for embryo formation or frozen for future use. After the eggs are retrieved, it may be taken to the laboratory where eggs are fertilized in a lab prepared mixture. The fertilization takes around 17 hours. After fertilization, it is observed to check for the best embryo. Now the best embryo formed is selected which can be used or can be frozen. If the embryo is frozen, it had to be done so at a special phase. This time lasts till 5 -6 days after fertilization that is the blastocyst stage. Now, that the best embryo or egg is selected, the main hurdle is to remove the water. 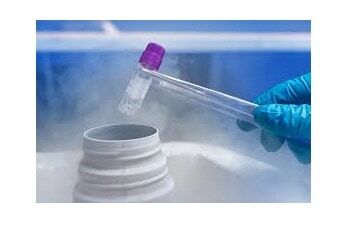 In cryopreservation, the sample is covered in a cryo-preservant and then frozen at a very low temperature in the solution of liquid nitrogen. ⟵Who Are the Right Candidates For PICSI?